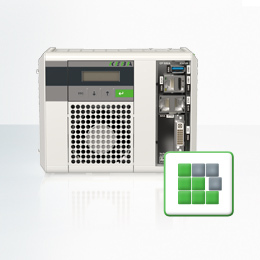 The CP3xx smart control / IPC solution enables top performance in a compact size. 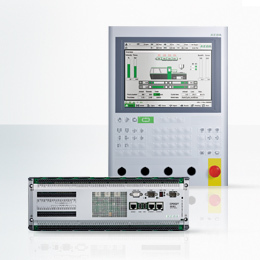 It combines the advantages of a high-performance industrial PC and an embedded system. Its outstanding performance capability based on Celeron and Core 2 Duo platforms ensures top performance even with complex, real-time applications. 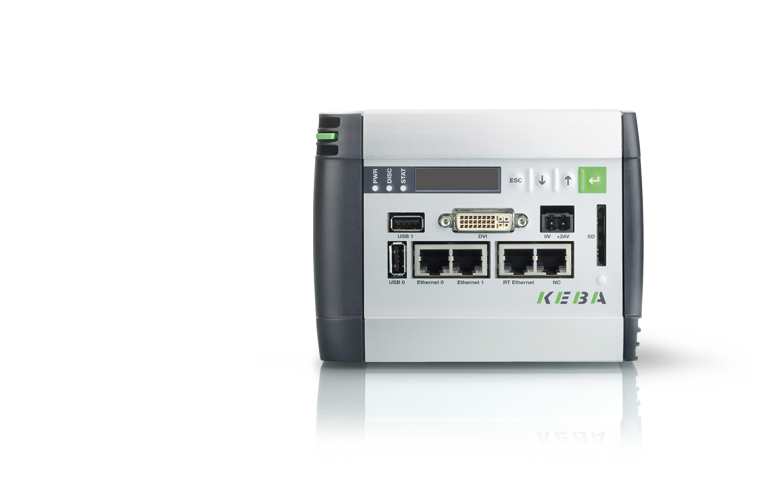 Multi-robot control, visualization, control, image processing and standardized PLC can thereby be implemented in a single control system. 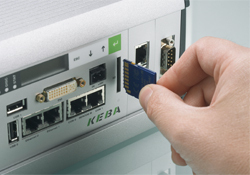 Numerous interfaces and connection options offer maximum flexibility with minimum space requirements. In addition, the CP3xx offers an on-board HMI for simple and fast commissioning and uncomplicated service. Numerous settings, such as IP address, time, application start/stop, etc., can thereby be performed directly on the device. An additional monitor or keyboard is not necessary. KeControl C3 offers an open and very-well documented software architecture. Programmed with standardized interfaces, it ensures simple interchangeability of modules and offers the possibility for customers to easily use their own software modules. In addition to easily accessible internal memory (CF and/or SSD), KeControl C3 with the SD interface offers an economical storage medium for fast data exchange. The use of industrial-grade, non-rotating memory ensures the security of all data.